Divorce suits; United States; Popular works. Custody of children; United States; Popular works. When youâre getting divorced, you can make a tough time easier for your children (and yourself) if you work with the other parent to draw up a custody plan and agree on child support. If you canât work out custody and support, youâll have to head to court and ask a judge to step in. Youâll also find specifics about each stateâs laws, including what factors courts consider when they rule on custody arrangements, what happens when one parent wants to move away with the children, and how you can change custody or support orders. 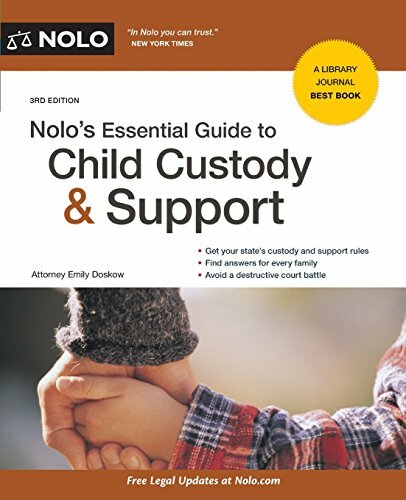 About: Custody and Support: Get the Answers You Need When you’re getting divorced, you can make a tough time easier for your children (and yourself) if you work with the other parent to draw up a custody plan and agree on child support. About: Whether you and your spouse agree on custody questions or you're fighting it out in court, you need solid information to help you deal with the child-focused parts of your divorce. About: Everything you need to know about child custody and support. from Jove Pubns (July 1, 1997); titled "Aquarius 1998: Total Horoscope Jan-Feb 18"